Mail call! 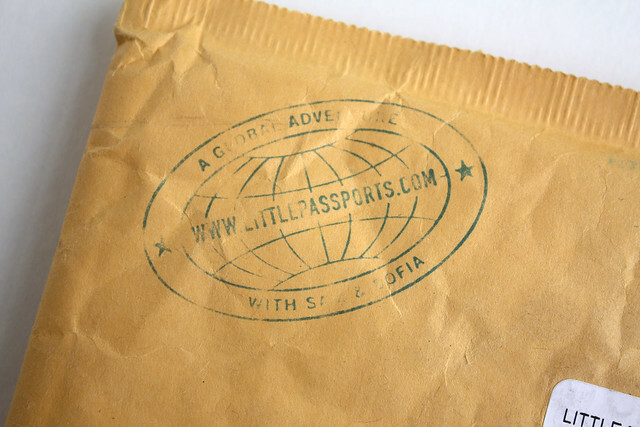 You might remember that my 8-year-old, Wyatt, had the chance to check out a Little Passports starter kit at the end of last year. He enjoyed the initial package which focused on general world geography, but when I asked him what he thought about it one of the main things he said he wanted was to learn more about some individual countries. 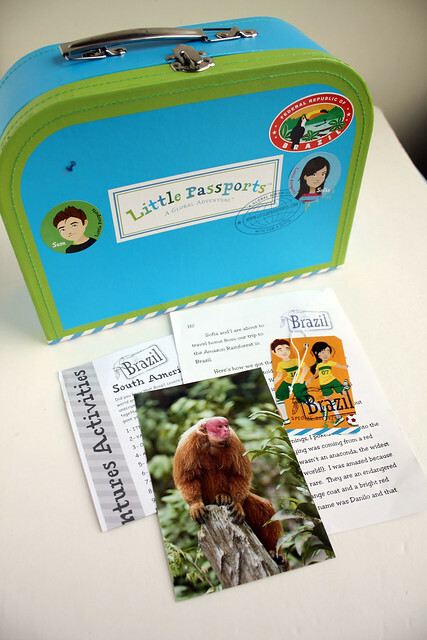 This month he got his chance when his first monthly country packet featuring Brazil came in the mail. Woo hoo! When the big, fat envelope bearing a Little Passports stamp came in the mail, Wyatt was super excited. “Mom! Sam and Sophia sent me a package!” he shouted. (Sam and Sophia are the two characters who are traveling the world and everything is written from their point of view.) He ripped open the envelope to find a letter, a puzzle sheet, stickers, a photo of an unusual looking monkey and a few other items. As he read through everything, Wyatt chattered about what he was learning and shared lots of facts about Brazil with me. I think I might have learned as much about Brazil as he did, honestly. Augie was excited about it too, so after Wyatt stamped his passport and slapped the Brazil sticker on the suitcase that came with the starter kit, we all laid down on the floor together to look at the map. After we found this month’s country, our conversation turned to traveling: where each of us would like to go on a trip, how far away those countries are from where we live, what they might be like. The kids even asked me what countries I’ve visited and looked for them on the map. It was a lovely, impromptu geography lesson. 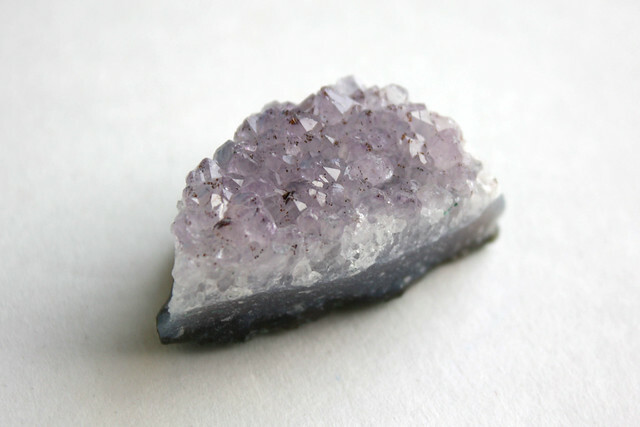 When I asked Wyatt what his favorite part of the kit was, he said it was definitely the small chunk of amethyst that was included. He is fascinated by precious stones (thanks, Minecraft) and often checks books about them out of the library, so this wasn’t a big surprise to me but it was cool to see him so excited about his fancy rock.